Asphalt offers homeowners a strong and durable driveway. Asphalt has a measure of flexibility that allows an asphalt driveway to stand up well to freeze-thaw patterns rather than cracking or breaking. Uneven settling or a car, truck or travel trailer left on the driveway for a period of time can all lead to low areas on an asphalt driveway. Fortunately, asphalt driveway maintenance and repair is successful and not overly difficult, making filling in the low spots an uncomplicated project. Save money by repairing your own asphalt driveway. Remove any loose material from the base of the depression by hand or with a small shovel. If the base of the low area is crumbling or cracking, chip the asphalt out with a hammer and cold chisel, and then remove it from the low area by hand or with a small shovel. Sweep the depression with a broom to remove any dirt and debris from the surface. If the dirt is still visible, wash the area with a hose and sweep dirty water out of the low spot. If the depression is grease or oil-stained, wash the surface with an asphalt cleaner to remove the oil and grease. Let the low area dry. Drying times vary based on outdoor humidity and temperatures. 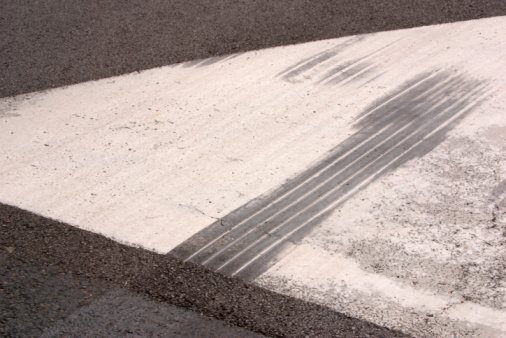 Add a 1-inch layer of cold-mix asphalt patch to the bottom of the low area. 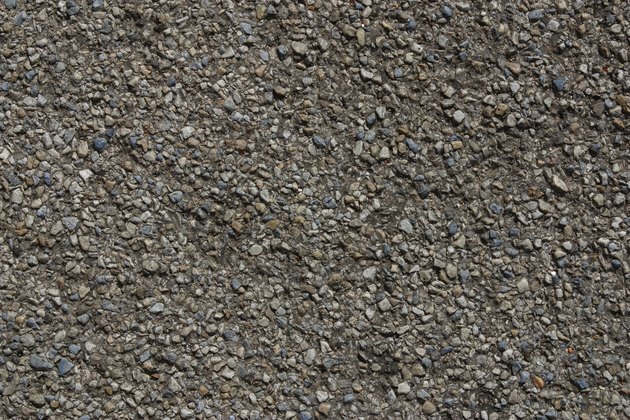 Choose a cold-mix patching material that has added binding agents to promote adhesion to the existing asphalt. Tamp cold-mix asphalt patching material down with a hand tamper or a 2-by-4 inch piece of lumber until you compact it tightly to the base of the depression. Add 1-inch layers of cold-mix asphalt patching material, tamping each layer until you build the final patch up to one inch above the surface of the existing driveway. Lay plastic over the patch, and then lay a sheet of plywood over the plastic. Drive the front wheel of a car back and forth over the patch to compact the cold-mix asphalt patching material further. If the asphalt patch compacts lower than the surface of the existing driveway, add more patching material, lay plastic and plywood over the patch, and drive over it again until the patch is level with the rest of the driveway.